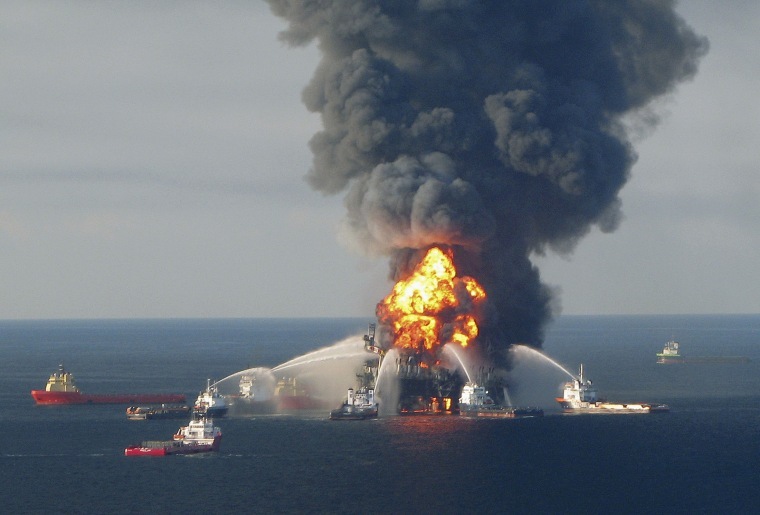 WASHINGTON — President Donald Trump’s Interior Department is working to relax safety regulations on offshore drilling operations that the Obama administration had implemented after the 2010 Deepwater Horizon explosion and oil spill. The changes aim to reduce "unnecessary regulatory burdens" on offshore oil and gas drilling in response to Trump’s orders to reduce regulatory costs and increase domestic energy production, according to the proposed rule, which the administration published Friday in the Federal Register. The new proposal "moves us forward toward meeting the Administration’s goal of achieving energy dominance without sacrificing safety," Scott Angelle, director of the Interior Department’s Bureau of Safety and Environmental Enforcement, said in a statement. "By reducing the regulatory burden on industry, we are encouraging increased domestic oil and gas production while maintaining a high bar for safety and environmental sustainability." The Deepwater Horizon explosion killed 11 workers and caused the worst offshore oil spill in U.S. history, prompting the Obama administration to strengthen federal oversight of offshore drilling. The Trump administration is targeting safety rules that Obama had finalized in September 2016. Among other changes, the Trump administration is seeking to lift a requirement for qualified, independent third parties to certify that certain safety and pollution prevention devices are able to function under extreme conditions. Under the proposed changes, offshore drilling operators will instead rely on safety standards developed by the American Petroleum Institute, the oil and gas industry’s largest trade association, among other groups. The public has thirty days to comment on the administration’s proposal, which the Interior Department estimates will save between $228 million and $281 million over ten years without harming the environment or worker safety.